For some reason reading this felt kind of like reading Are You There God It’s Me Margaret, if that book had been written for adults and if Margaret had turned out to be a lesbian later in life. This was a great read in which Florence King details her life growing up in Washington DC under the tutelage of her Grandmother, determined to make Florence a lady despite failing with her own daughter, Florence’s mother. While this book is Florence King’s memoir and tells the story of her life from growing up in the 1950s in Washington to her pursuit of higher education before falling in love with professional writing, Florence’s grandmother is by far the best part of this book. Her grandmother’s obsession with feminine weakness, even to the point of competition with other women over whether nervous breakdowns, or “female troubles,” were the true marker of femininity, is the most hilarious part of Florence’s story and becomes a reoccurring theme throughout the whole book. Even though King writes about her grandmother with a sense of humour, she still maintains a great deal of respect for her and it becomes clear how much of an impact having such a strong willed grandmother, and mother, albeit in a different sense, had on her life. King writes beautifully which makes her memoirs a treat to read and enjoy. 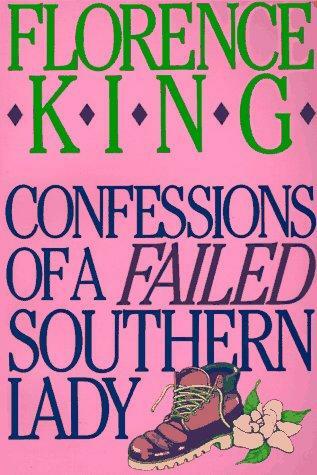 This entry was posted in Reviews and tagged Autobiography, Confessions of a Failed Southern Lady, Femininity, Feminism, Florence King, Humour, Lesbian, LGTBQ, Memoir, Non Fiction, Review, Southern Belle on September 5, 2015 by kwils3.